BOCA RATON, Fla. -- The National Hockey League General Managers' meetings wrapped up just before noon Wednesday as the managers departed the Boca Raton Beach Club to catch flights taking them back to their respective teams. 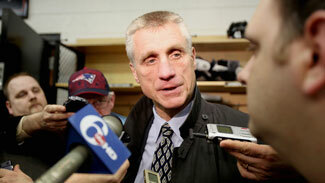 The Flyers' GM has watched his star goalie Ilya Bryzgalov turn around his season of late. Bryzgalov has recorded three straight shutouts, four in his last five starts, and has six straight wins this month. Holmgren watched Bryzgalov struggle to find his way in the middle of the season, particularly around the 2012 Bridgestone NHL Winter Classic, a game he did not start. He said Bryzgalov's success now is all about comfort. "I don't think it's any different than any player going to a new team. There is an adjustment period," Holmgren said. "Ilya started the year good for us and he had a little bit of a rough patch, kind of like the team did, and obviously his play of late, he's picked it up at a critical time for us. I don't think there is one thing that I can point to other than being comfortable in the confines of playing goal in Philadelphia, whatever that means." Holmgren hinted that he never was concerned about Bryzgalov, even during that middle part of the season, when he won just six games from Dec. 17 to Feb. 18. 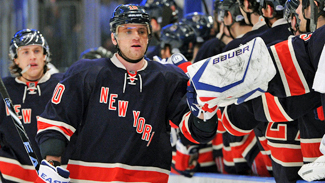 "He's been a good goalie for a long time in our League," Holmgren said. "You just have to look at his numbers, and his numbers were out of whack there for us. Now he's playing better, those numbers are improving and we're reaping the rewards. We're winning some games here at a critical time." The Flyers have several more critical games coming up, including at Boston on Saturday and at home against the streaking Penguins on Sunday. In fact, they play the Penguins three times before the end of the regular season. Those games could be a preview of a first-round playoff series between the Keystone State rivals. With Penguins captain Sidney Crosby returning from a long battle with concussion symptoms to the lineup Thursday in New York, will the good news stretch to Chicago and Blackhawks captain Jonathan Toews? Bowman, the Hawks' GM, says hopefully soon. "He's getting closer," Bowman told NHL.com of Toews, who has missed the last 11 games with what is believed to be a concussion, but is listed by the team as an upper-body injury. "I can't give you a definitive date. He's been skating, practicing with us, and we're hoping he's going to be back soon. Beyond that I can't really give you an answer." What Bowman can offer is his opinion on how his team has responded since Toews left the lineup. He has, for the most part at least, been impressed with its resolve in going 6-4-1 without Toews. "We've played a few inconsistent games, but really going back the last month or so we've played what you could call playoff hockey in terms of gritty performances," Bowman said. "We've been better in our goals-against. We've defended much better. We've played tighter hockey. We've played more desperate hockey. It coincides with the stretch run, but also we needed to get our game tightened up." Bowman said it's important that the Hawks started playing that style of hockey now, without Toews, because he'll be able to immerse himself right into those kinds of games when he is healthy enough to return. "Our guys recognize the tough spot that is the West," Bowman said, "and as a result we've played some of our best hockey of the whole year in the last month." McPhee only will watch his team play when he's in the building. He finds it far too difficult to watch them on television. "It's almost too long of a game for a manager," McPhee said. "To watch it on TV is just too hard." So McPhee said he did not see the Capitals' come-from-behind 5-4 shootout win against the Islanders on Tuesday. He didn't even know they were down 4-1 at one point because he said he waited until after the game to check the score on NHL.com. 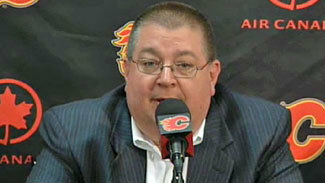 "It seemed like we were able to stabilize it at one point and turn it around," McPhee told NHL.com. "Those kinds of wins can go a long way." With or without the GM watching, the Capitals have won four in a row to stabilize their position in the Eastern Conference playoff race. They are one point behind Florida for first in the Southeast and four points clear of the ninth-place Sabres, who play Colorado on Wednesday (7:30 p.m. ET, NBCSN, TSN2) and can close the gap to two points with a victory. "It's been a tougher year for us, but it doesn't mean it can't end up being a great one," McPhee said. "You don't want to have to rely on a run late in the season, but we have and we've got to deliver now." There is the potential for more good news on the horizon for the Capitals as Nicklas Backstrom (concussion) has resumed skating. He was on the ice for a second straight day Wednesday and reported that he is feeling good. He is expected to skate again Thursday. Backstrom has not played since Jan. 3. The Flames have won four in a row and have points in five straight, but the race for the No. 8 spot in the Western Conference is so tight that all that winning has only gotten Calgary into the ninth spot. They have 78 points, the same as San Jose, L.A. and Colorado, but the Sharks hold the lead right now with at least a game in hand on the other teams. "I guess if you're a fan it's exciting. Maybe for the media it's exciting," Feaster said. "For those teams that are in that position, it's a battle every night. The unfortunate thing is you put yourself in this spot. I wish we were able to take advantage earlier in the season and we weren't in this spot." That said, Feaster can't argue with the way his team has responded after a brutal stretch heading into March, when they fell from eighth place to 11th after dropping four straight at home, twice giving away 2-0 leads after the first period. "I think we've been resilient," Feaster said. "The first time we managed to push into a playoff spot and get into the eight-hole, we were coming off a good road trip, came back and really had a horrendous homestand. Then we went back on the road again and you're wondering what the response is going to be. I thought it was good. We have found a way to respond." They have responded despite a slew of injuries. Blake Comeau returned Tuesday, bringing the Flames down to three emergency recalls in the lineup. Feaster said Mike Cammalleri (upper body) could return next week. He's missed the past four games. The Panthers are on the verge of snapping the longest Stanley Cup Playoff drought in the NHL (it's been since 2000), and their second-year GM said he can sense a change in the fan support in South Florida. "It's been really good and it's getting better and better and better," Tallon said. "If we continue to improve, compete and achieve our goals this year, it should be a positive step for everyone." Florida has won two in a row to remain one point ahead of the streaking Capitals. The Panthers have a game in hand, but Tallon said the key for them now is to get healthy. He hopes to have forwards Kris Versteeg (lower body) and Scottie Upshall (sports hernia), along with defenseman Dmitry Kulikov (knee) back in the lineup by the end of the week. Versteeg hasn't played since Feb. 26. Kulikov's last game was Jan. 21. Upshall has played in only 17 games this season, and just two since Nov. 10. He's been out since Jan. 24. "I'm real proud of the coaching staff and our players, how they have battled through this, and hopefully we'll get healthy by the end of the week," Tallon said. "That will make us a deeper team and we're going to need all the help we can get going down the stretch." Especially with the Capitals making a push. "They're the favorite," Tallon said. "We just need to get healthy and continue to compete."